1) Norwegian Black Metal (see picture), formed in 1996. 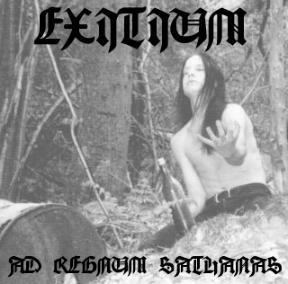 The released one demo called "Ad Regnum Sathanas" in 2001. Contains Woe J Reaper from Furze on drums and Øyvind Auschwitz form Trash The Graveyard on bass/guitar. This band is still active. 2) Grindcore band from Norman, Oklahoma. Combining the inherent catchiness and vibe of early pioneers such as Napalm Death, Terrorizer, Assück and Repulsion with the unpredictable technicality of grindcore's modern form. This band is still active. 3) Fun Black Metal band from Finland. They released three full length albums in one year (2004). This band isn't active anymore.